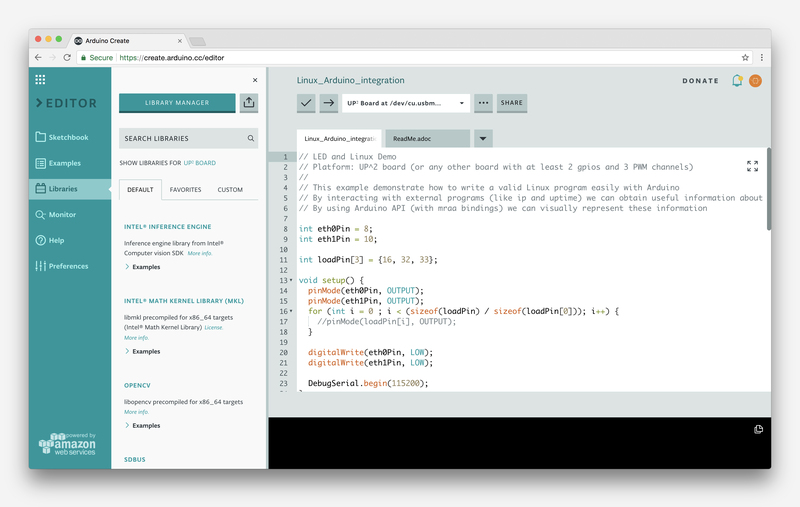 What this means is that users are now able to program their Linux devices as if they were regular Arduinos. Multiple Arduino programs can run simultaneously on a Linux devices and programs can communicate with each other leveraging the capabilities of the new open source Arduino Connector. 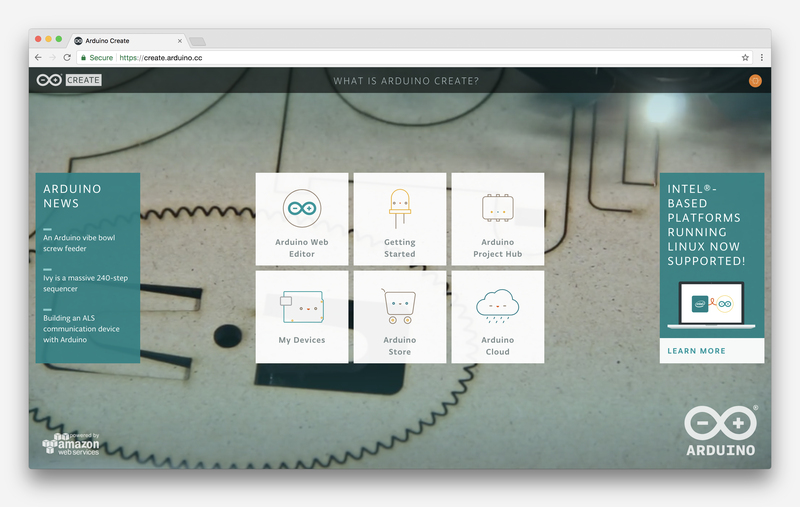 Arduino Create now allows users to manage individual IoT devices, and configure them remotely and independently from where they are located. 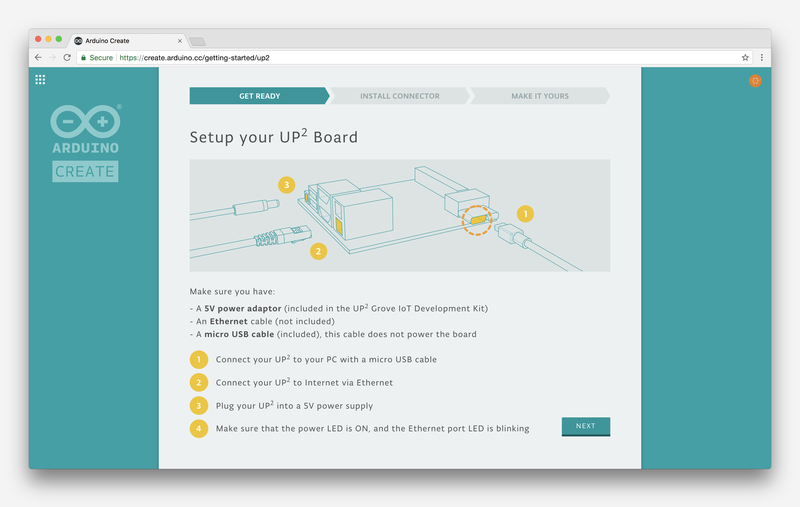 To further simplify the user journey, we’ve also developed a novel “out of the box” experience that will let anyone set up a new device from scratch via the cloud without any previous knowledge by following an intuitive web-based wizard. The initial release has been sponsored by Intel® and supports X86/X86_64 boards. 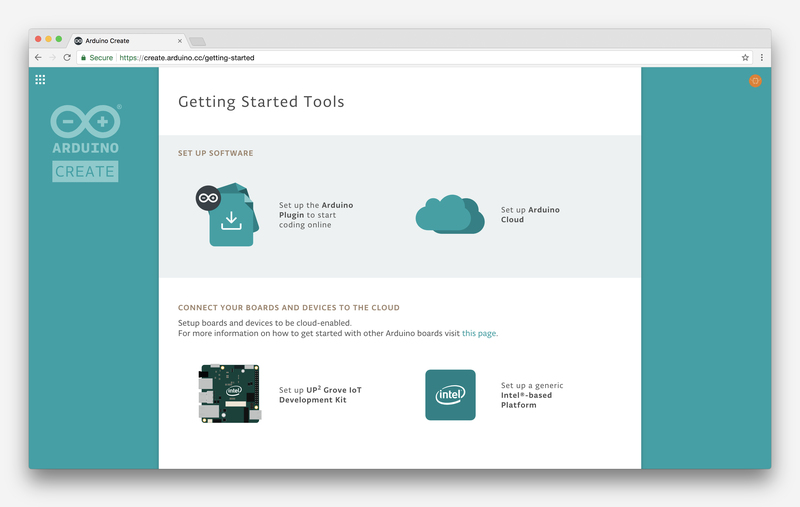 As a reference implementation, a simplified user experience has been designed for the AAEON® UP² board, although other platforms are already supported by the Arduino Create platform, such as the Intel® NUC, Dell Wyse®, Gigabyte™ GB-BXT. Follow this guide to set them up. As usual, if you encounter any issues or have comments or ideas, please let us know on this dedicated Forum section. If I run a sketch on a Raspberry pi 3, does pin numbers stay the same? What about intel galileo because that is the board I have and I can not do anything because I dont have the app downloaded on my computer and you guys dont have it on the Arduino create so what do I do. Nossa que maravilha! Parabéns a estes gigantes da tecnologia! I’m running a x86 linux mint with firefox, but the site sends me an ArduinoCreateAgent X64 that doesn’t run. And I cannot find anywhere how to download the correct plugin. I have a Wemos D1 Wifi development board, but it is not supported. What should I do?